I haven't been back in a while. Still got my ATR though so haven't gone far! Yep, sat in the garage waiting to have it's supercharger fitted. Hopefully if things go well with the business over the next few months (looking promising) they may get traded in for something a little bit more luxurious. Some sort of an M3, maybe an M5. On that note, I actually came by today to see if the forum was still active. Just finished redoing my EK9 blueprint illustration and was going to see if there would be any interest in a group buy, but the forum seems pretty quiet now! Rebuilt my garage though and the little beauty is tucked away for the winter now....still largly stock and just going to be doing some cleaning/tidying over the winter. Some of my time has been taken up with a new hobby too, ive been wanting to paramotor for years so trained at Membury near where @B16Swt lives.....now i fly around with a big fan on my back.....totally different view of the world from up there! Still here and still got my ek9 ! Still visiting and reading, just never been very active on this forum despite having my EK9 for over 16 years. waiting for the weather to improve to get back working on the car. haven't used it in months. is there a facelift version?? I dont really know many owners on here well but Im still around enjoying EK9 ownership. I have got one of my old mint ek9's back to keep, virtually standard as well. Always been in and out the forum since 2008. Still kicking about and recognise some old school names above ^ feel old ! . Definitely not as active as it used to be. Facebook has unfortunately killed the vibe. Most new users now use the forums as a information source and nothing else really. Dunx I know Pez (Perrymoo) had a early preface one think he got it back in 99/00. 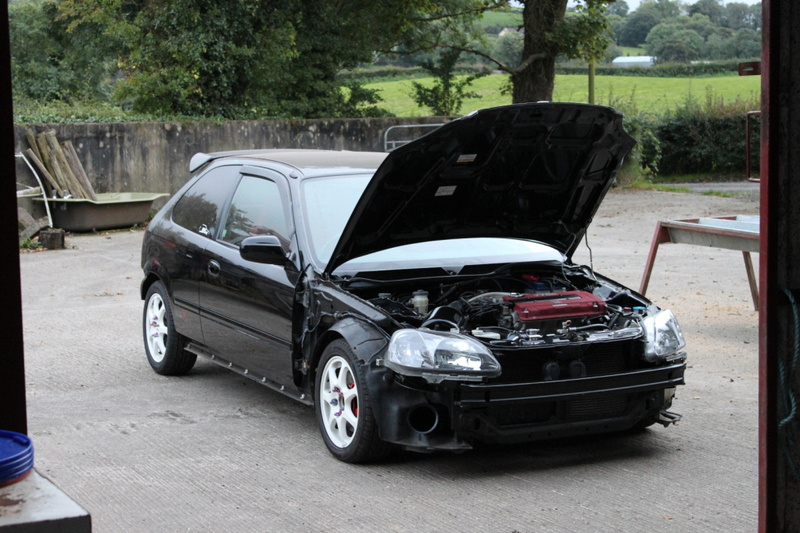 Joined in 2008 with my White EJ9, First car with a lot of EK9 parts fitted. 8 years later, Had an EK4 SiR, Imported a '98 Spec DC2 then bought a practical FN2, Now have, well sort of got an EP3... And probably another EP3 next. Still haven't managed to get an EK9 for one reason or another. Would love a VSM Facelift. And I made the move from Ireland to Newcastle in that time, Enjoying the circuits over here . Also, Uploading pictures is the more laborious part of forum'ing, I need to stop being lazy, and Photobucket is kaput! Anyone got any recommendations? I started using ImgBB, same idea as photobucket. havent had the time to upload many of my pictues onto it yet. ...even still have the same car!